Becoming staff in june 2016. Hosting and co hosting events. Created a bear cult on DMU. -The Shadow Proclamation Curious and I were working on ages ago. Even though I hated them I also used to enjoy the weekly updates we used to do with Sam on Tuesdays. The stress and panic when we realised it was Tuesday and we hadn't even started the update and we had to make the update video and then get the update out a few hours later! One of my other favourite memories was playing on jwdjwd's Dalek Mod server back in 1.6. Used to have a lot of fun playing with John, Luke and Khotarri, this was also when we started seeing a lot more of Matt! There are so so so many more people I could include however my mind has gone blank! Sorry if I missed you out! One final mention, even though you wont talk to me anymore, for whatever reason, George Kirkland (Timelord Gamer). Probably one of the best people I've met through the Dalek Mod, you were always so loyal to me and the team from the start, always so understanding, you were such an amazing friend. Going On Discord And Getting Banned! Building A Mansion With Whovian_15.. 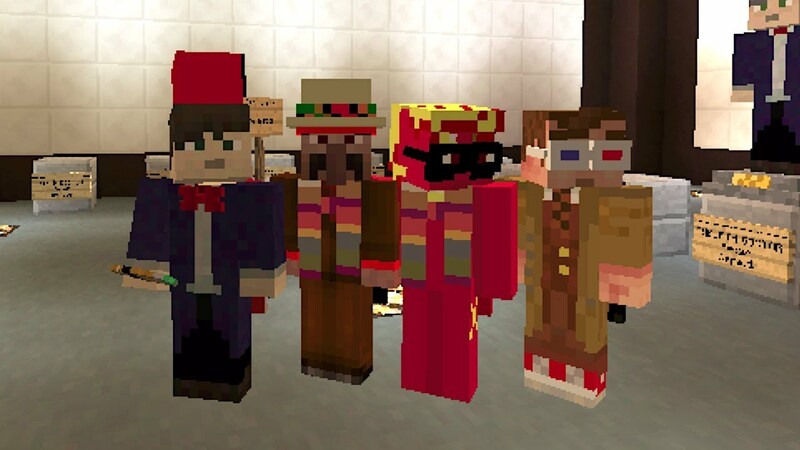 I know this is kinda late but my memory was when I was young and discovered this mod and played it it was kinda before I became a big doctor who fanatic where I was Blown away by so much mobs and fun it was so fun i was wating for you guys to Countinue on your guys journey and hope to countinue on with this forever until the end of times and I still remember the old title screens oh boy good old days and also i put the sign when it was this mods birthday i put the sign saying happy birthday. My favorite memory was coming to the DMU for the first time.